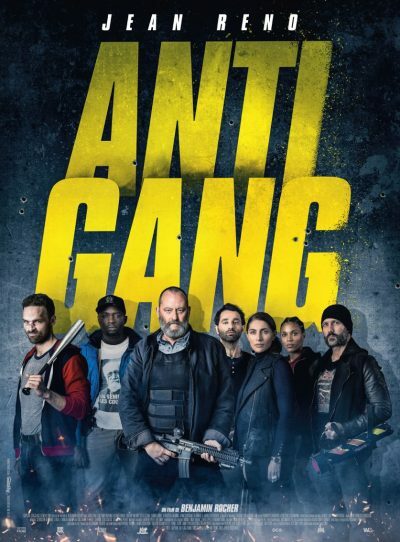 In an act of blatant cultural appropriation, this is actually a French remake of 2012’s The Sweeney, with Ray Winstone. A film based on a seventies TV series… Which was, in turn, a spin-off from a one-shot TV movie, Regan. [For their next trick, the entertainment industry will stick its collective head up its own arse in order to eat itself. Get the popcorn] The British version seemed a little out of time, like a reverse version of Life on Mars, trying to shoehorn a seventies style of policing into a modern environment for which it was clearly unsuited. The French version didn’t seem to suffer this to the same degree, likely due to my ignorance. I’m sure they had the same conversation about suspects’ rights and questionable interrogative techniques as occurred in Britain. But as far as I’m concerned, the French police force still consists entirely of Alain Delon and Jean-Paul Belmondo wannabes, smoking Gauloises and sighing heavily as they beat up le stoolpigeons. 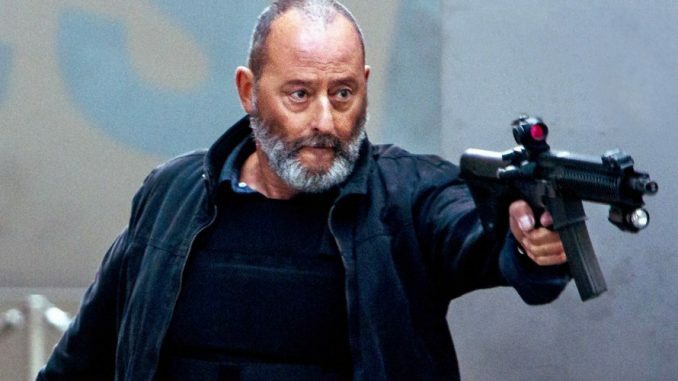 Which make Jean Reno a perfect choice here, as Buren. He’s the head of a no-nonsense gang of cops, who have a direct approach to policing that’s a perpetual headache for commissioner Becker. It doesn’t help the Becker’s wife, Margaux (Murino) is having an affair with Buren. A robbery where a witness is killed, execution style puts Buren. chief sidekick Cartier (Lenoir) and his team on the trail of a safe-cracker, only to be pulled from the case by Becker after things go a bit pear-shaped. Not that this stops them, naturally, leading to a hellacious chase and shoot-out in and around the heart of Paris. This directly reflects a similar sequence in The Sweeney, in and around Trafalgar Square – and, to be honest, in both cases, it’s probably the only thing that will stick in your mind about the film. This works to the remake’s advantage, since I’d probably be less impressed if I hadn’t all but forgotten watching the original. It’s certainly not the first time Reno has portrayed a French cop, and the bags under his eyes contain enough world-weary gravitas to power the film, all by themselves. He lends the material more credibility than it deserves, though he’s one of the actors we’d watch him in just about anything. The rest of the cast are not exactly handed complex characters to play, and don’t seem interested in giving them depth, though Lenoir occasionally has his moments. [It was an unexpected bonus to see Jakob Cedergren, who we recognized from Danish series Those Who Kill, playing the safe-cracker] The main problem is probably the lack of any cultural flavor. This is Paris, yet except for the obligatory couple of shots of the Eiffel Tower and the subtitles, it could be Rome. Or Berlin. Or London. Or New York. Rocher’s talents for grandstand action sequences are clear, and using them to helm technically-competent imitations of Hollywood films seem like a waste. This tastes much more like Un Big Mac than haute cuisine.